Why would you need a guide for hiring a web developer? Why would you need to hire a web developer in the first place? 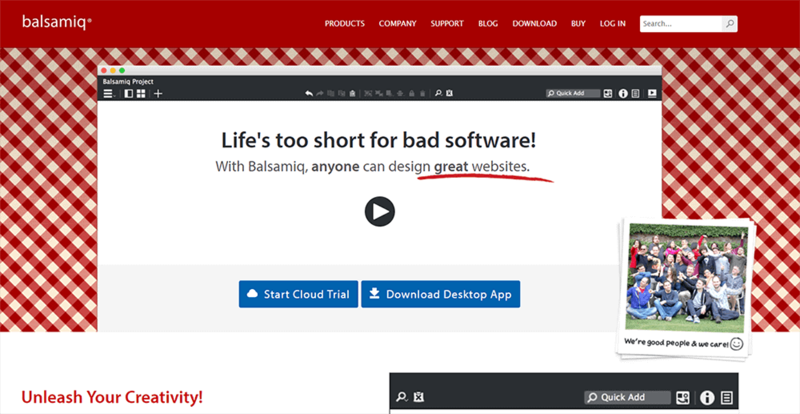 Isn’t WebsiteSetup.org built on the premise that anyone can create a website? It’s true. While in the past you needed to either be a web developer yourself or hire a web developer if you wanted a website, today that’s not the case anymore. Content management systems like WordPress, Joomla and Drupal have enabled many people to build websites themselves. Additionally, website builders like Wix let you create sites via simple drag and drop. You might need help with some of the more technical bits. In both cases it’s important to know how to find, hire and work with a web developer so that your project runs smoothly. For that reason, our guide on how to hire a web developer will go over all the necessary steps of doing that. To hire a web developer, you first need to make clear for yourself what exactly you are trying to accomplish. If you don’t know that, you won’t know who to look for and what to tell them. Design — This can be anything from redesigning your logo or header image to overhauling the entire page layout or adding design effects. Functionality/coding — For example, adding a shopping cart, custom image slider or making changes to your website’s management panel. Depending on which area your project focuses on, you need to hire different people (more on that below). If you are planning to create an entire website, you will need people for both. Eliminate the wrong candidates — If the job description is clear, you can already weed out people who are not qualified. If you keep it vague and broad, a lot more candidates will apply to your posting as opposed to if you provide details. Save time up front — If you are clear on your expectations, your web developer can spend less time in the discovery process. Instead, they can jump right into how to implement your project. Receive better estimates — Knowing the extent of the work will allow the candidates to better estimate the time and costs beforehand. It will also make costly changes less likely. Achieve clarity for yourself — Writing things out is also a good exercise for yourself. It helps you really think through what you are trying to accomplish and makes your ideas less hazy. That’s an important step towards accomplishing them. What Kind of Developer Do I Need? Now that you are clear on the kind of website you want or the changes you need to your existing site, it’s time to think about what kind of web developer you need to hire. The term “web developer” in reality covers different skills and job descriptions. There is the difference between a developer and a designer. A designer is a person who comes up with the look of a website and creates assets like images, icons etc. Their expertise is Photoshop and other graphic design programs. A pure graphic designer doesn’t actually implement the site. Instead, they prepare a representation of what it will look like in the end. Someone else will make the actual website based on it. A developer is a person who writes code. That means, they can get into your site and edit files to make changes or create an entire site from scratch. They also work with code editors and other development-related tools. Developers also have subgroups. The most significant are front-end and back-end development. The front-end is the part of the website that visitors will see in their browser. The back-end is everything behind that. It’s both the place where you manage your website as well as how the site communicates with your server or database. Front-end developers and web designers are often the same. They use the same languages and both take care of the look and the feel of your website. Front-end developers can also signify the person who implements the design but doesn’t come up with it in the first place. There’s a lot of overlap in these areas. Back-end developers are focused on how your site works. They deal with the functionality and are also concerned with website speed and other technical issues. Their skill stack includes PHP (especially when you are working with WordPress), Java, Ruby on Rails, Python and other programming languages. Front-end and back-end developers are specialists. It means that they are usually quite good in their own domain but not versed in the other person’s discipline. Depending on your needs, you might have to hire two or three people (graphic designer, front-end developer, back-end developer) to implement your website or the changes you need. Obviously, it results in more work hours and higher costs. Another choice to hire web developer is to hire a generalist who can do everything, a so-called full-stack developer. These are jacks of all trades who are able to build complete websites from scratch including design, implementation and coding. While their knowledge is not always as deep in every field as that of the specialists, they are still able to produce the results you want. While full-stack developers can be more expensive, they require less coordination. Consequently, it can speed up the process and save you money. Finally, when looking for a web developer, the question is whether to work with a freelancer or hire somebody full time. This depends on the details of your project. If you only have a one-off job, working with a freelancer is often good enough. You agree on the time frame, price and delivery, they create the website and you take over from there. Plus, you can hire them again if you need any changes. This is the usual arrangement with mostly static websites or sites that don’t need a lot of upkeep. It’s also an ideal way if you plan on doing the day-to-day running of your website yourself. If you need someone to constantly take care of your site, you might be better off hiring a full-time web developer. This makes sense, for example, if you are building a complex news site that needs a lot of hands-on work, changes often and has a lot of different content. Permanent can also mean for a limited time frame or “project based” as is the official lingo these days. Do you have an idea of what kind of web developer you need by now? Good, then let’s talk about where to find them. Upwork — The most popular place to hire freelancers. Easy to use and comes with a lot of tools like time tracking and automatic payments for achieved milestones. 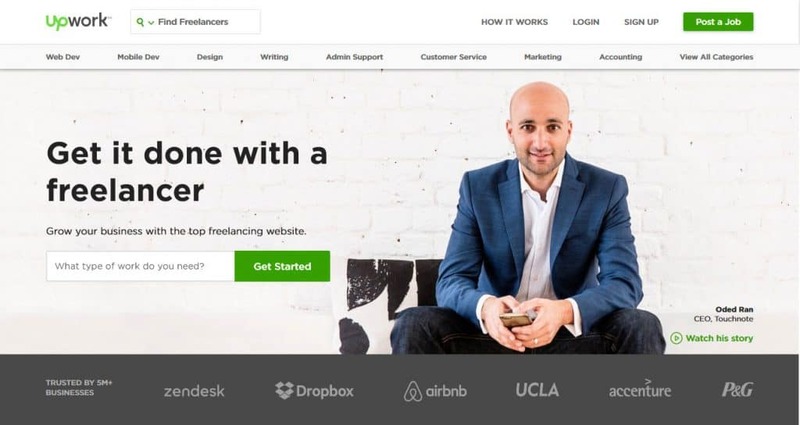 Freelancer.com — Similar to Upwork with millions of available remote workers. Comes with real-time chat, a milestone payment system and more. Guru — A third option. More than three million freelancers waiting to work with you. Features include different payment options (per milestone, per task, hourly) and safe payment gateways. Toptal — A freelance hiring website with very high standards. They only accept three percent of applicants so you know you work with top talent (hence the name). No public information on rates but probably pricier than other options. Outsourcely — Hire remote workers directly and pay them directly. Focuses on stable, long-term work. Ideal if you want to get a permanent web developer. 99designs — Originally a crowdsourcing service for graphic designers, it now also lets you find web designers and developers. Post what you need and professionals from all over the world will send you their ideas. You can see the results, offer feedback and pick a winner. Only pay when you are satisfied. Codeable — Outsourcing service specifically for WordPress. Outline what you need and match with the right web developers quickly. From small tasks to full-stack development – you can have it all. WP Curve — Monthly service for small website tweaks. A good option if you like to have someone in the back to call for problems. Dribbble — Not really a place where you can hire people. However, freelancers present their work on Dribbble and you can get in touch with them via the platform if you like what they do. Craigslist — Free classifieds website. Good because it allows you to find local people. Keep in mind that it can be more challenging to judge the quality of a web developer on there. Estimating how much a website project is going to cost is one of the hardest steps. The price depends on many factors – the skill and experience level of the developer, the size of the project, where the developer is based, the type of job portal you used to find them and more. Experienced developers are faster and make fewer mistakes. Hence, they will require less back and forth, which saves time. For that reason, hourly pay often comes out cheaper. Inexperienced workers likely need more revisions and corrections. It means more work hours, therefore you are better off to agree on a fixed fee from the beginning. Large projects have even more potential errors, faulty estimations, design changes, revisions, and fixes. If paid hourly, this can produce a lot of costs on the tail end. For that reason, you are better off to have a developer estimate the overall effort (including potential corrections) and agree on a fixed price. It also means that you need to be thorough in your project proposal and communication. The more precise you are on the project scope, the less likely it will need additional work. What does it mean in numbers? How much should you expect? Now it’s time to create the actual job offer. As mentioned, you need to be crystal clear about what you want. Only then can you effectively communicate it to another person. Background information — Introduce yourself, your company and brand. State your business goals as well as the target group you are catering to. This will give web developers an idea about the area of the project. Project summary — What’s the bird’s eye view of the project? Complete website design, site implementation, changes? Be precise. Deliverables — What do you want to end up with? A Photoshop file? 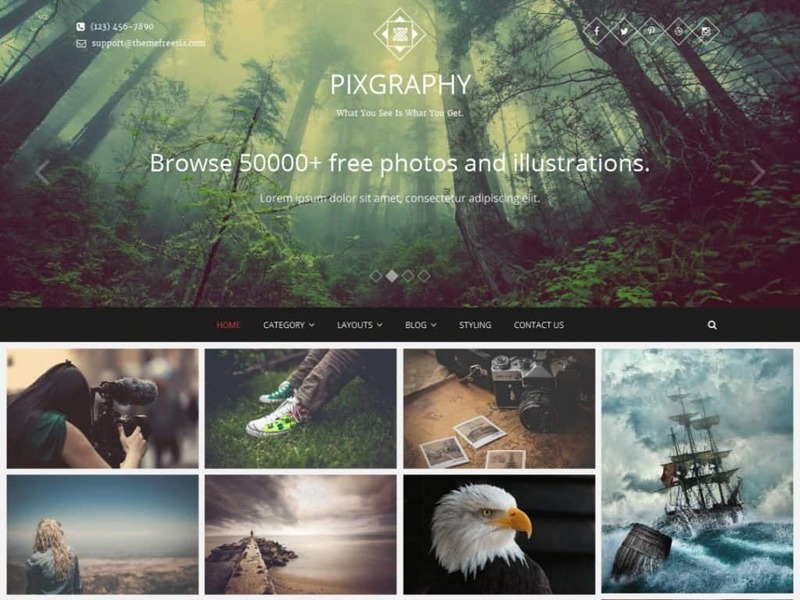 A WordPress theme? A complete website? Let freelancers know what they are supposed to deliver at the end and in which format. Existing assets — State anything you will be providing from your side. This can be design guidelines, existing assets, color schemes, website copy, logos, wireframes or whatever else you already have in stock. The ideal candidate — State both the level of expertise you are looking for as well as other characteristics that are important for you. Timeframe — When do you need your project to be ready? Be aware that most of the time there will be delays so it’s a good idea to post a tighter deadline than you actually have. That way, you have some buffer in case something goes wrong. Mockups — Create visuals to show how you imagine your website or the new feature. A sketch on paper can be enough but there are also tools like Balsamiq or image editors like Photoshop. Examples — If you know sites that look similar to what you want, include them. The same for any other assets you like. This will give your web developer a starting point. You can also include examples of stuff you don’t like and would like to avoid. Include a mini task — Lots of people play a numbers game and blindly send canned emails to any job post they find. To weed those out, include a mini task in your job posting like using a certain subject line or answering a quick question. That way, you know who read it properly. This only leaves the question, should you include your project budget or wait for applicants to quote you their price? You usually have the option for both and each has their pros and cons. If you don’t have any flexibility in your budget, include it in your proposal. That way, you only attract candidates that are willing to work for it. Of course, it will also scare off some people but it wouldn’t have worked out with them anyway. If you have some leeway, ask for quotes. That way, you don’t disqualify potentially great candidates just because you underestimate the budget requirements. Once your project is online, you will hopefully see the applications rolling in. Now is the big question: how do you decide who to work with? Below are a few guidelines to improve your chances of picking the right candidate. Technical requirements — Further above we have talked about the skills the different types of developers need. The first thing for you to do is make sure your candidates check these boxes. Response time — Being able to reach your freelancer is important. If you need to change something about the project, you don’t want to wait several days to hear from them. Write back and forth a few times and see how long they take to get back to you before you hire a web developer. Communication skills — At the same time, check their overall communication. Do they talk clearly? Answer all of your questions? Do they seem like people you would like to work with? You will be talking to them a lot, so make sure the experience is productive and pleasant. Previous projects — Ask for and check the past work of your web developers. That way you get a better understanding of their experience, strengths, and weaknesses. This can also be on their own website in the form of screenshots or even code snippets. Customer rating — Many of the job portals mentioned above offer customer feedback. Don’t just look at the overall rating but also read the comments from previous clients before you hire a web developer. This is a good way to learn more about the person’s work ethic, turnaround time and other features. Experience — Experienced developers make fewer mistakes, have shorter turnaround times but cost more. Beginners cost less but might take longer and create more issues. It’s up to you to decide what works best for you and is most often dependent on the project timeframe. Paid tests — When you have whittled down the list to just a few candidates, it’s a good idea to ask them to complete a paid test. Give them a small task to accomplish and see how it goes. Pay attention to both the work and their communication throughout. It’s a good prediction for the future behavior. Set up a meeting — Talk to the candidate, preferably via video call. Run through the project from front to end, address questions or potential problems, ask for their input. Create milestones — Especially for larger projects, it’s a good idea to come up with smaller milestones. That way, you can review what is happening while it’s happening instead of seeing the finished product (and potential problems) at the end of the deadline. Agree on a payment schedule — Work out a schedule for the payment that works for both of you. Pay the deposit — This is a sign for both parties that they are committed to the project. The web developer should start working at that point. Follow up with milestones — Review every agreed-upon milestone. Release payments whenever you are satisfied with what you see, not before. Do a final review — Once the work is done, do a final audit. Pay the remaining fee when you are satisfied. It also makes sense to agree on a warranty period in which the developer will continue to fix stuff that you might have overlooked. Though anyone can build a website these days, there still many good reasons to hire a web developer. A professional can do things you are unable to and will get the job done quicker than you. Outsourcing this task to someone else also gives you the opportunity to concentrate on more important things. 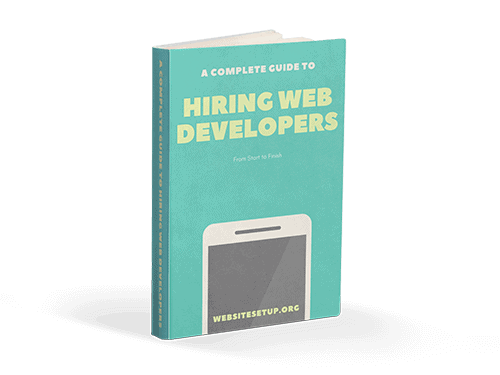 In our guide to hiring web developers, you found tips on how to nail every step of the process. It can be nerve-racking at first but will get easier with experience. Plus, once you have a working relationship with good candidates, you can often continue working with them. That way, you don’t have to do all the steps every single time. Do you have experience on hiring a web developer and would like to share your experience? Are you a web developer yourself and have anything to add? If so, please do that in the comments section below.